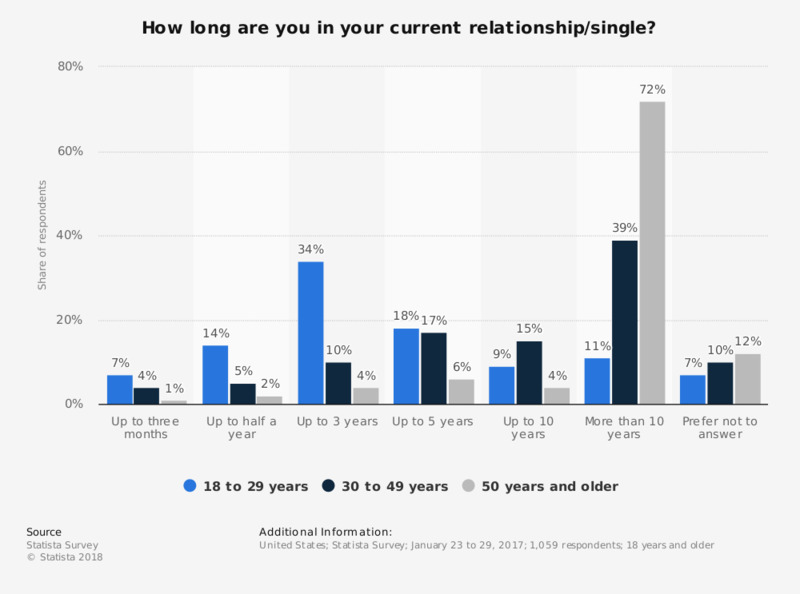 This statistic shows the results of a survey conducted in the United States in 2017 on the duration of the current relationship status of Americans. The results were then sorted by age. Some 39 percent of respondents between 30 and 49 years stated they have been single/in a relationship for more than 10 years.